Greenpeace’s ship, the Rainbow Warrior has left Auckland for international waters around New Zealand to highlight the destructive impacts of bottom trawling. The tour follows up on an expedition last year in which Greenpeace documented New Zealand and Belize bottom trawlers operating in the Tasman Sea. Dave Walsh, web editor onboard the Rainbow Warrior again this year, gave the following account of the 2004 expedition that followed the activities of seven ships as they trawled seamounts for target species of orange roughy. Following on from a European tour in which leading marine biologists brought their concerns direct to European decision-makers, a number of European countries are being asked to support a moratorium on bottom trawling on the high seas in the run-up to the EU’s Law of the Sea Working Group (COMAR) meeting on Friday 13 May. 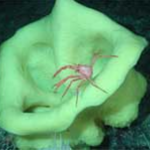 Around the world, large deep-water sponge fields are hotspots of biodiversity. 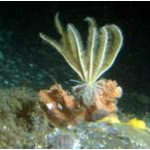 Their three-dimensional structure provides highly varied habitats for a wide range of species. 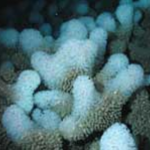 But deep-water sponges are being swept up as by-catch, crushed or scarred by bottom trawlers or clogged by the clouds of sediment churned up by their heavy fishing gear. Called ‘Moving from Words to Actions’, it was hailed as the meeting where fisheries ministers would take action to conserve the high seas. But the Ministerial declaration released yesterday from the Canadian High Seas Governance Conference in St. John’s Newfoundland completely ignores the issue of environmental destruction caused by bottom trawling, fails to protect habitats or make commitments to specific actions, and does not set deadlines. 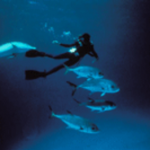 A report released by Marine Conservation Biology Institute (MCBI) and Natural Resources Defense Council (NRDC), suggests that deep sea life holds major promise for the treatment of human illnesses (1). 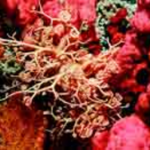 But scientists are increasingly concerned that bottom trawling may be destroying medically beneficial species before they are even discovered. Fishermen, conservation groups, scientists and community economic development representatives attended a two day international conference, held April 29th and 30th in St. John’s, Newfoundland. 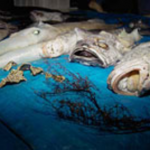 Participants concluded there are clear negative impacts of bottom trawl fishing gear on the sea floor (1). 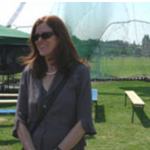 “I was very encouraged by what I heard the scientists and others saying at this conference. Responding to the Spanish Fisheries Ministry’s position statement on a proposed UN General Assembly moratorium on high seas bottom trawling, the Deep Sea Conservation Coalition (DSCC) welcomed Spain’s recognition that bottom trawling is a destructive fishing practice which needs to be addressed, but rejected their proposal for doing so as a stalling tactic. Spain’s proposal on bottom trawling a stalling tactic? 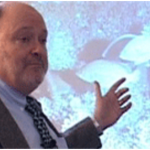 At Seafood 2005 in Brussels this week, the Spanish Fisheries Ministry unveiled its new position in response to the growing outrage around the world about the devastating impacts of bottom trawl fishing on the high seas. Continue reading Spain’s proposal on bottom trawling a stalling tactic? On 18 and 19 April, Dr. Sylvia Earle met with Spanish scientists and government officials to advocate that Spain, a major fishing nation, has an opportunity to act constructively for the conservation of deep sea marine biodiversity by supporting a UN General Assembly moratorium on high seas bottom trawling. 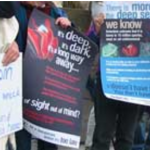 Leading deep sea scientists today spoke out against the European Community’s failure to fulfil its commitments to protect the seabed from high seas bottom trawling. Addressing a gathering at the European Parliament, hosted by MEPs Paolo Casaca and Elspeth Attwooll, the scientists echoed concerns already raised by the United Nations (UN) General Assembly and the European Community itself, over the enormous damage caused by bottom trawl fishing to deep-sea corals and other rare and unique species, fish populations and sensitive deep ocean habitats worldwide.